Okay, I will admit - I was very surprised that I liked this book. It's a contemporary, which is not my thing, and a contemporary romance, which is doubly not my thing, and a straight contemporary romance, which is triply not my thing. But besides all those things, it was also insanely well-written and struck a personal chord with me. I'm very much like Auden and her mom at the beginning of the book, and I'm constantly developing the way Auden does throughout the story. I also like how the majority of the book was focused on friendship, not romance. You totally don't get that from the blurb, but the main theme of this book was definitely making friends that will build you up and support you, not finding summer love. The only criticism I have of this is that the ending seemed very rushed. I like how realistic it was, but the epilogue should have wrapped up loose ends better and given more thorough explanations for everything. What happened to Leah and Esther, for example? The last ten pages of the book felt extremely rushed and didn't leave me satisfied. However, other than that, this was an amazing book! 4/5 fabulously sassy Southern beans. I was alerted of the existence of the Grisha trilogy after reading Six of Crows and Crooked Kingdom. I was rather underwhelmed by SoC and CK, however, which seems to go against the majority of peoples' opinions. Therefore, when I heard this trilogy wasn't as good as SoC and CK, I decided I'd try it to see if I'd like it better. I'm officially an outlier: Thus far, the Grisha trilogy is better than the Six of Crows duology. For one, the writing in SoC + CK was extremely meh, but the writing in Shadow and Bone is vibrant and gorgeous and lively. I was drawn into the story of Alina almost immediately, and I loved the worldbuilding. The reason it only gets four stars is a bit odd - it just didn't seem to have any higher truths, themes, or lessons. I don't particularly care if I agree with it or not, but I very much like when books have a theme or truth they want to get across, when it seems like there's a purpose to them being written. 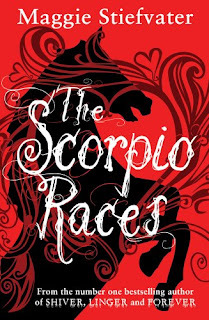 For example, The Scorpio Races by Maggie Stiefvater taught about perseverance, family, overcoming discrimination, and sorting out what you want vs. what other people want you to want. The Emelan Universe Series by Tamora Pierce talks about the tenacity of true friendships and what it is to accept other people for who they are. Try as I might, I couldn't find anything like that in Shadow and Bone. Maybe that's just me - but it definitely left me feeling like something important was missing the entire way through. Overall, though, this was a quick and engaging fantasy read I would definitely recommend to any lovers of the genre! The concept of this book didn't really interest me when I picked it up, but The Raven King wasn't in at my library yet and I was in the mood for Stiefvater, so I figured, "Eh, why not". However, I was pleasant surprised by how much I enjoyed this! Sean was such a great character (although I do wish we'd gotten to learn more about him. How does he take his coffee? What's his favorite season?). The concept also grew much more interesting as I read, and the writing was superb. I will say, however, that I never really connected to Puck. I was all excited to love her, and then I just.....didn't. Additionally, I was pretty confused for the first third of the book about how the races actually worked. I had to have a couple of my friends explain it to me; Stiefvater never really did a thorough job. Since I seem to have forgotten most of the major plot points, there's no point in me writing this anymore. Oh well. I tried. Yes, that's it! I tend to like that trope, but Alanna definitely isn't my favorite story that has it. That sounds about right. I've read all the books in the Grisha series and I really love that series. I haven't read her new duology yet. And Scorpio Races! I read that a while back. I love everything Maggie writes. Her writing is so incredibly beautiful. Great reviews! I'm really looking forward to the next two! I don't think it's as good, but I'll be interested to hear your thoughts. Have you read her book Lament? Ikr?!? I'm way more like Puck, but I somehow connected a lot more to Sean. Thank you! I think you'd really love Shadow and Bone! 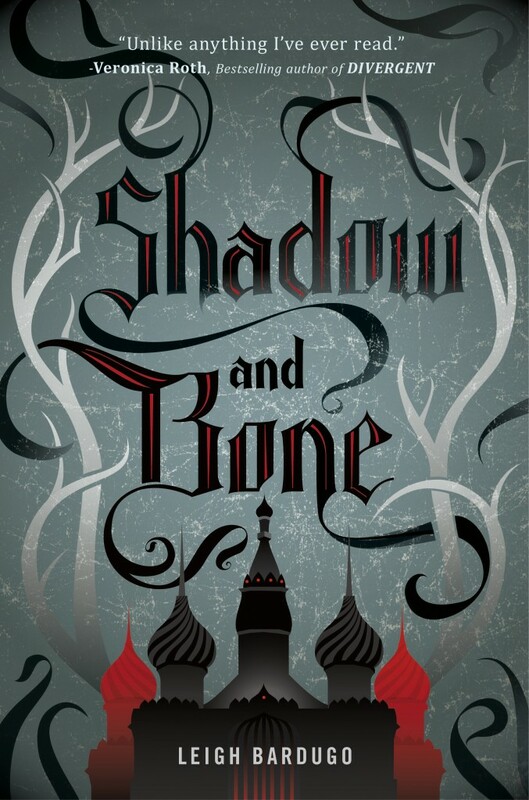 So of these, I have only read Shadow & Bone, and I have to say, I agree with you! I liked Six of Crows okay, and I DID like Crooked Kingdom (much better than SoC, tbh) but I liked the Grisha series a lot! I DO want to read The Scorpio Races because I have heard such good things, I have always been afraid of it though I am not sure why. 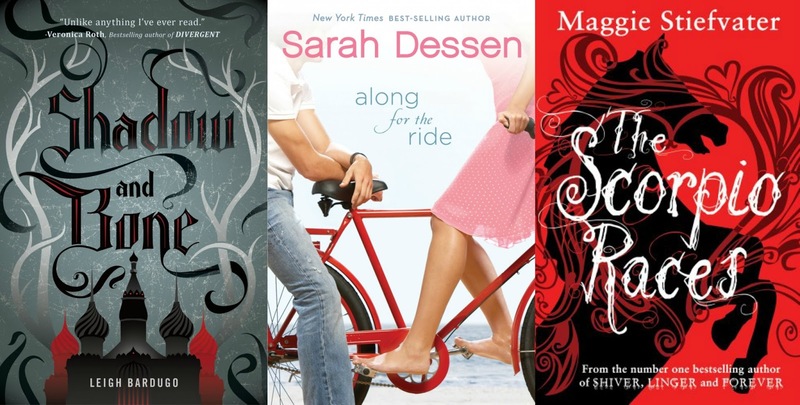 And I have steered clear of Sarah Dessen because generally cushy romances aren't my thing either, but who knows, maybe it'd work! Great reviews, so glad that these ended up being happy surprises!